I’ve seen a lot of complaints and confusion from boxing fans now that boxing is moving towards streaming on Apps. I’ll show you the three simplest ways to watch boxing from the Apps on your phones to your TV. Chromecast is a device that you plug into your TV’s HDMI port, powered by a USB cable (included). Using your smartphone or computer as a remote control, you can use Chromecast to access video content from Netflix, YouTube, Hulu, the Google Play Store and other services. The method shown above does not work on the DAZN App if your TV doesn’t meet their specifications. The power must be plugged into a wall outlet or powerstrip. The reason I like Chromecast is because it can be used on thousands of Apps and you can choose to simply broadcast the screen on your phone. Apple TV is a digital media player and microconsole developed and sold by Apple Inc. It is a small network appliance and entertainment device that can receive digital data from specific sources and stream it to a capable television. 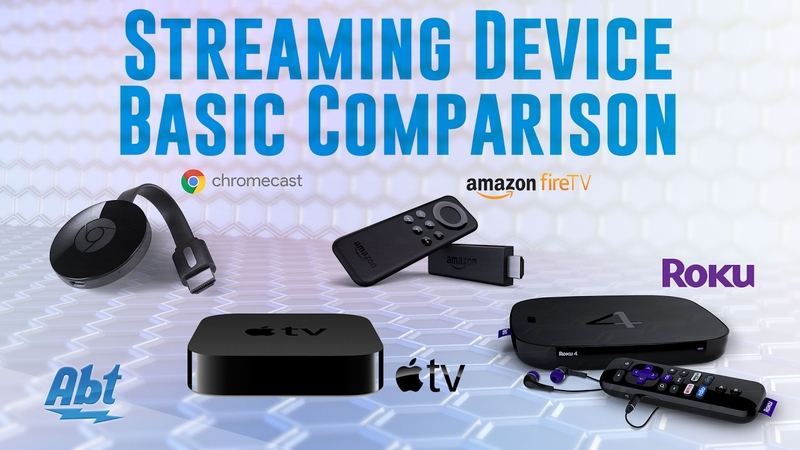 Apple TV is an HDMI-compliant source device. Apple TV has a simple installation set-up. Plug an HDMI cord from the device into an HDMI port on your TV. Turn on your TV and tune it to the corresponding HDMI port. A set-up menu will prompt you to pick your language and country of origin. You do all of this with the remote control provided. Then it’ll ask if you want to set it up manually or with a device. Setting up with your device (iPhone or iPad) is the easiest way. Choose set up with device. Make sure your Bluetooth is on and hold your device close to the Apple TV box. Once it pairs you’ll be prompted to enter your Apple I.D. and password. Once the set-up is complete you can go to the App store on your TV, using the remote provided, and download the App (ESPN+, DAZN, Showtime, Fox). Choose the App you want to watch and you’re good to go. Roku players, branded simply as Roku, is a series of digital media players manufactured by Roku, Inc. Roku partners provide over-the-top content in the form of channels. The name comes from the Japanese word 六 meaning “six” and was named so because it was the sixth company that Anthony Wood started. DAZN isn’t available on Roku yet. Roku has various devices but for the sake of this article I’ll explain their Roku sticks. The set top box they have is similar to the Apple TV set up. Connect the Roku stick to an HDMI port on your TV. The Roku stick is powered by the USB port on your TV or by plugging the power supply into a power strip or wall outlet. Once you’ve inserted it into an HDMI port turn on your TV and tune it to the corresponding HDMI port. The remote that comes with the stick is powered by two AAA batteries. Once the Roku stick is powered up the remote will pair to it automatically. If it doesn’t there is a button on the back of the remote below the batteries. Press that button for five seconds and it’ll pair the remote to the Roku stick. Once it’s paired you’ll be prompted onscreen to set up the device. Your wireless network will show on screen. Select it and enter your wireless password. If you have trouble connecting you can visit the Roku wireless troubleshooting page. These are the three easiest ways to watch boxing on your TV from apps as if you’re watching it from your cable box. There are other ways to watch, such as downloading Apps to your Xbox or PS4. Those are so simple they don’t need an explanation. There is also Fire TV Stick, or Firestick, but that’s a little more involved than the three ways explained above. That’s about it. If you have any questions or comments you can reach me on Twitter @lazylefty or email at q.city.boxing@gmail.com.